At TriFuelMonthly, I'm all about giving. When you subscribe, I give you awesome race nutrition plans, delicious natural endurance fuel and free gear every month. This month, I'm also giving to Team RWB on your behalf. Team RWB's mission is to enrich the lives of America's veterans by connecting them to their community through physical and social activity. 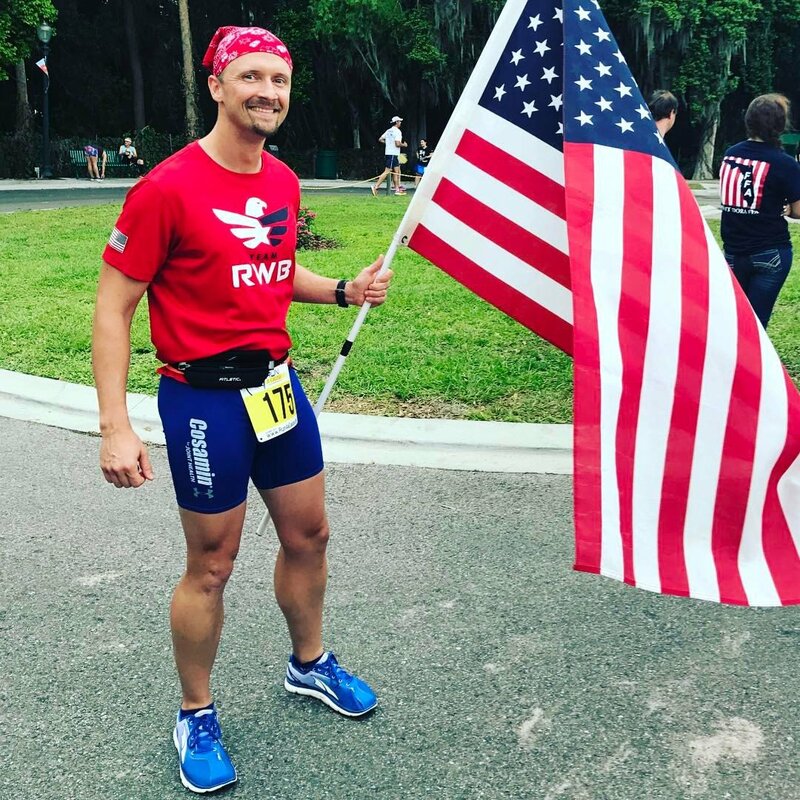 I've seen how enthusiastic Team RWB is at races around Central Florida so I know these veterans' lives are being enriched. So I'm giving 10% of all subscription sales for the month of July to support Team RWB. Words like values and culture are incredibly important when building an organization. Team RWB has certainly created a strong culture – one of support, encouragement, and inclusiveness. They have strong values – are transparent, responsible, and honest. While just about every organization strives to uphold a certain set of values and to foster a certain culture, Team RWB is special. 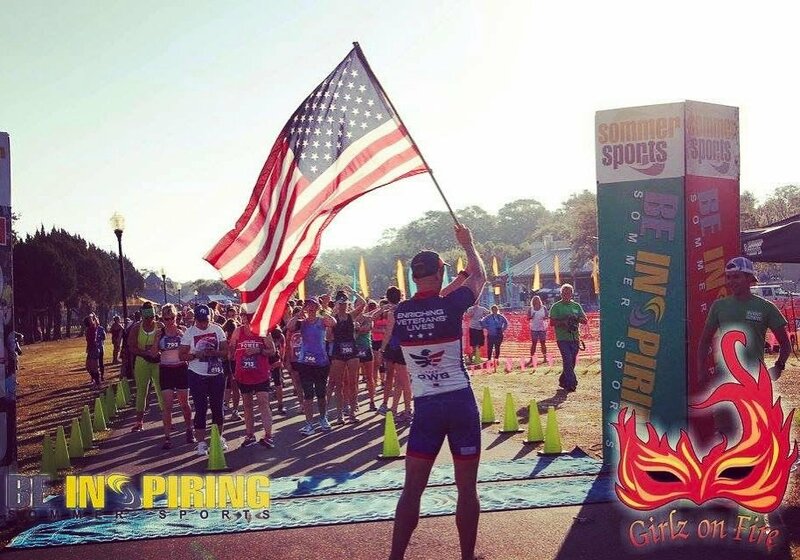 Team RWB members share more than just values. They share an ethos – a set of guiding beliefs and ideals that characterize our community. An ethos persuades or inspires people to action…and that is what they are all about. While ethos can be sometimes hard to define, you certainly know it when you see it. Ethos is demonstrated, not stated. 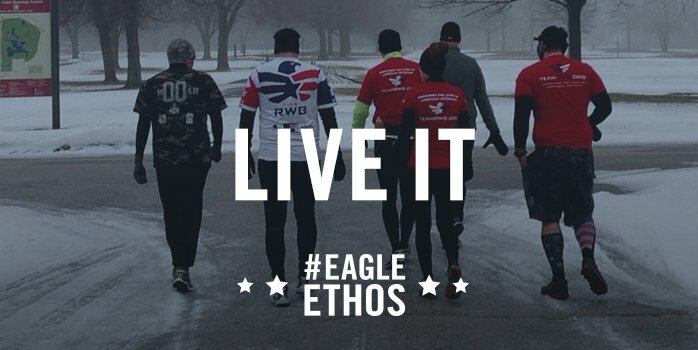 The Eagle Ethos was crafted using six words that uniquely characterize Team RWB and distinguish them from others. The Eagle Ethos can be clearly captured in an instant with a single snapshot or demonstrated over time. It can be displayed outwardly or held inside as fuel for action. But it is pervasive throughout Team RWB and known intimately by each team member who puts on that red shirt. The Eagle Ethos is passion, people, positivity, commitment, camaraderie, and community…and Team RWB lives it in action every day. 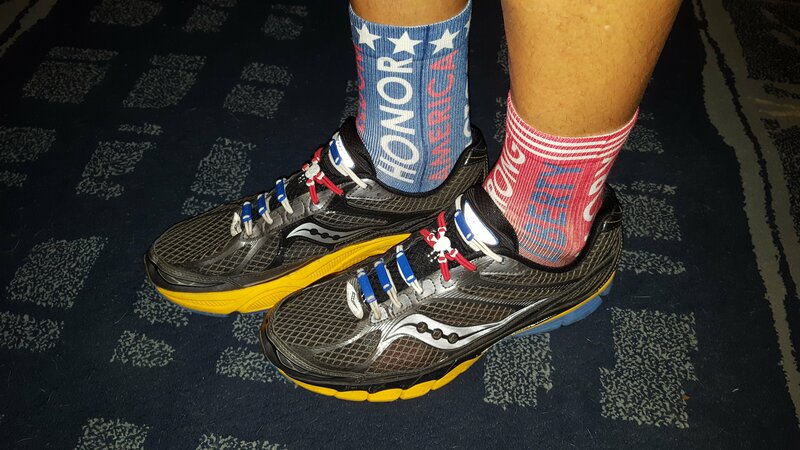 Central Florida designer and athlete Melissa Corp makes these terrific all-purpose sports socks so I thought this would be a great match for any athlete's patriotic workout. With 72% Coolmax and 6% Lycra, they are the perfect socks for summer cycling and running. 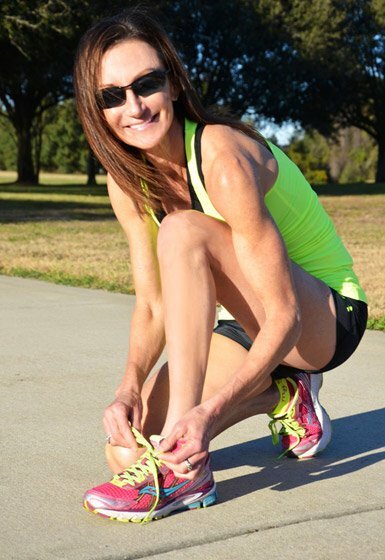 They are slightly cushioned, moisture wicking and ventilated with a seamless toe! Blisters are a thing of the past no matter how far you are going. Oh, by the way, they are mismatched on purpose! Because, really, why to both socks need to be the same? I've been saying that for decades. My wife says it's just to cover up my color blindness but really it's because I'm a rebel. So get your socks on. Hit the road knowing your subscription supports the great things Team RWB does for veterans across the country. The more we do together, the more we all can do. Let's fuel up and do it!